Supplementary material reads: "Photo assignment for Wednesday January 30 at 2:30 p.m. Pls. 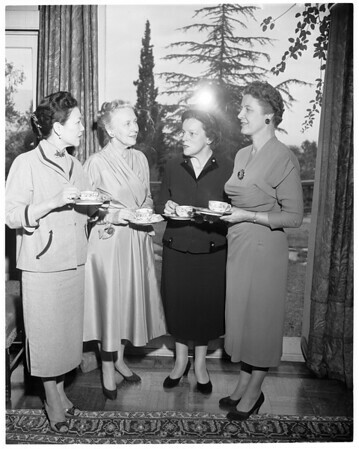 go to home of Mrs. Padelford, 385 North San Rafael, Pasadena, RY 18602, get shots of International Committee, Philharmonic membership tea. Candid, three cols., hostess, Presidetn [sic] and one other woman. Contact, early Thursday morning. Thanks, Carter Ludlow".